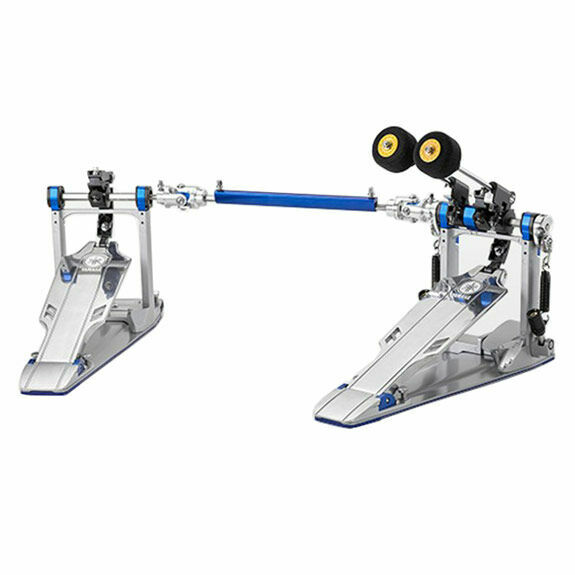 The Yamaha DFP9 Direct Drive Double Bass Drum Pedal is responsive and fluid offering a wide range of adjustment options to meet the players needs. With years of experience developing hardware for musicians not only does this pedal perform it's built for daily use and reliability. Quick Adjust Cam / Link - The Cam offers 3 position settings to personalize your feel. 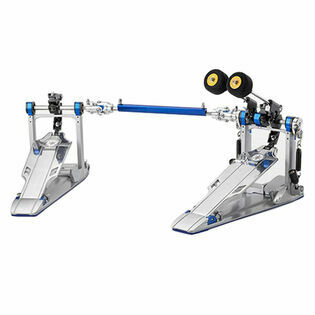 Direct Drive - The direct drive creates a direct link between the footboard and the beater, conveying the movement of the drummer's foot to the beater instantaneously. Axle stabilizing Bearing Chamber - The frame and bearing cover (blue parts) are independently smoothed and precisely fabricated before assembly, allowing them to to be aligned with the central axis of the shaft and ball bearings to unleash a smooth rotation. Low Profile Stabilizing Hinge - The hinge base and cover (blue parts) are independently smoothed and precisely fabricated before assembly, allowing smooth footboard performance. Easy Access Auto Lock Spring Adjustment - Moving the spring adjustment knob upward greatly simplifies the traditionally troublesome tension adjustment process. The knob is locked at a 90-degree angle which prevents it from coming loose on its own. Independent beater and footboard Angle Adjustments - Independently and freely find the perfect angles and the inclusion of an angle checker allows the player to re-create performance settings.